Planning a vacation to the Mount Washington Valley? 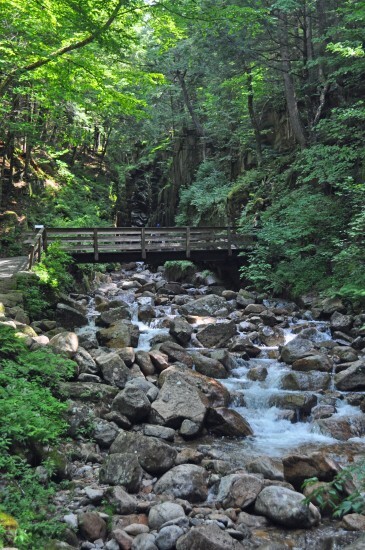 Make sure to add the Flume Gorge at the top of your list. You’ll experience beautiful waterfall views on this nature walk. Fun for everyone in the family including the kids. The past two weeks we have had a fabulous time exploring the Mount Washington Valley including the Flume Gorge with the kids. 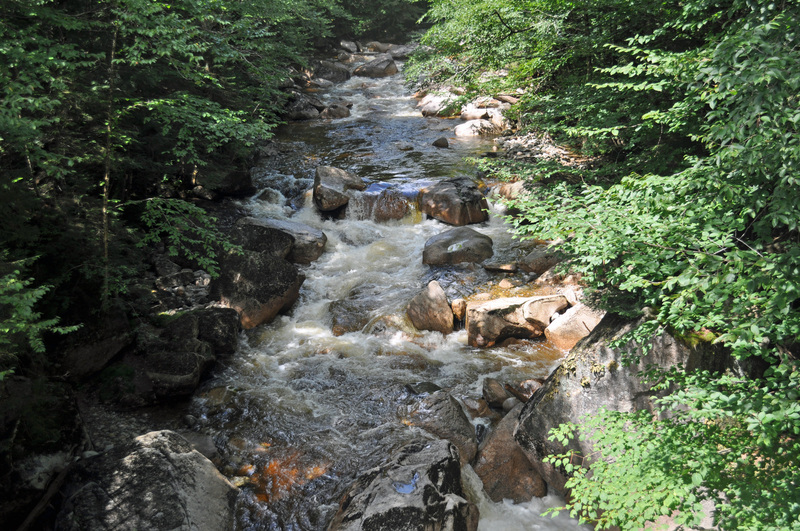 Most of our friends and family members visit the White Mountains, especially during the summer and fall months. After seeing all of the scenic pictures on my Facebook news feed this past summer I have been looking forward to exploring the area with my own family. I had visited Storyland and Santa’s Village as a child, but I was too young to remember most of it. Thanks to the fabulous folks from the White Mountains Attractions Association, our family received a complementary pass to visit a number of family attractions in the Mount Washington Valley. If you plan to visit next summer, keep the White Mountains Attractions Value Pass in mind, which offers admission into 18 White Mountains Attractions. We packed a lunch in the cooler and headed to Franconia Notch State Park to check out the first stop on our list, the Flume Gorge. If you have a couple of hours to spare I highly recommend stopping by, the views are beautiful. I have never been one to enjoy mountain views, I would much rather prefer palm trees and beaches, but after experiencing all the views and water falls at the Flume Gorge I have found a new love for nature. 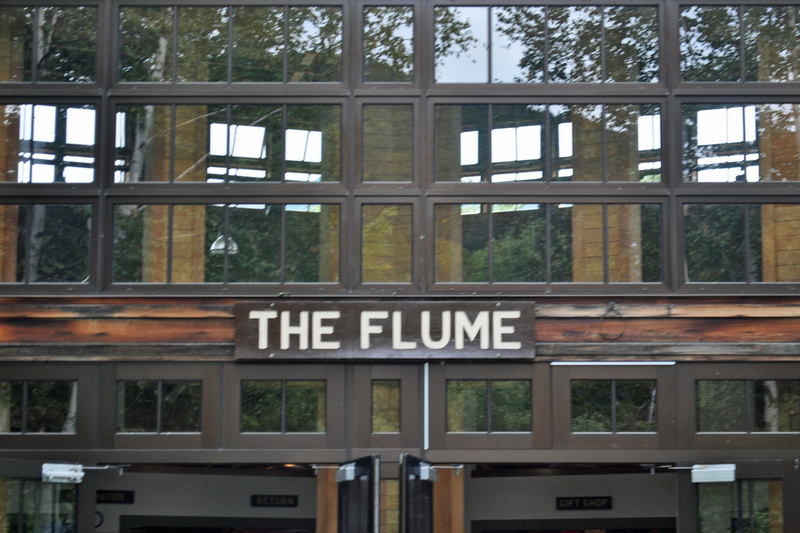 The Flume is a natural gorge that extends 800 feet at the base of Mount Liberty. 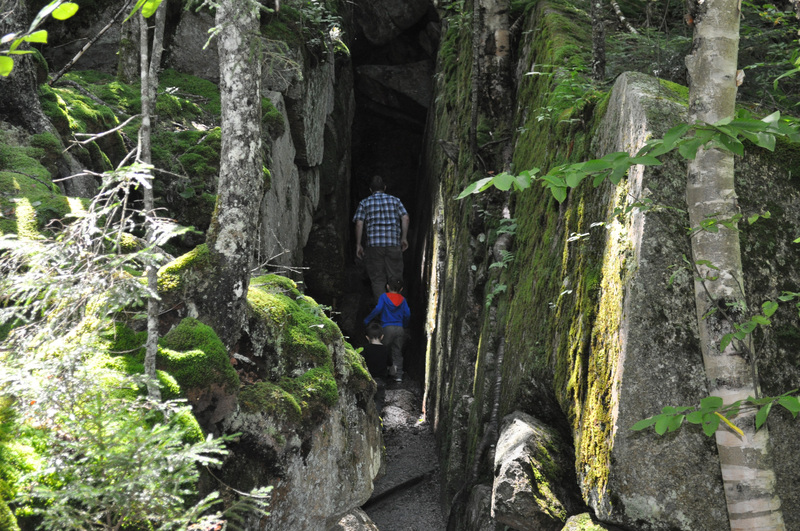 The walls of Conway granite rise to a height of 70 to 90 feet and are 12 to 20 feet apart. Visitors can choose to walk just to the top to the Gorge, or continue on to do the two-mile loop. In order to view the Gorge, visitors will have to walk uphill and climb lots of stairs, there is a bus available to help cut down on the walk, but visitors will still have to climb stairs/walk to reach the top. 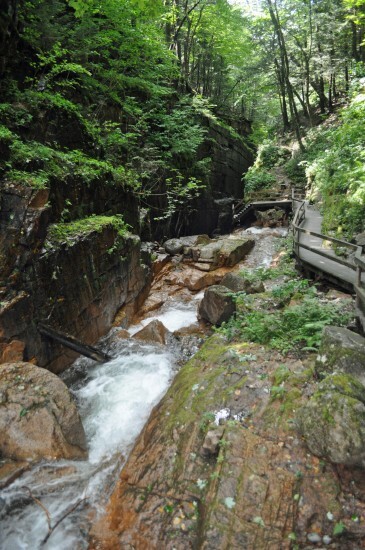 Kids will love the Flume Gorge Nature Walk. The stairs were not overbearing as we chose to shop multiple times to take photos. We also choose the two-mile loop, which didn’t seem to be two miles as we were busy admiring all of the beautiful views of nature. We had snacks and drinks packed in a cooler in our car but forgot our small backpack so we decided to purchase a small bag in the gift shop of the Flume Gorge to bring water and a few snacks for the kids in case they got a little hungry. At 4 and 6 years old, the boys didn’t complain about the walk, they were too excited to see all of the waterfalls and the caves. Toward the end our four-year old wanted to take a small break to have his snack. The dens were by far the children’s favorite part of the attraction. The Wolf’s Den, a narrow, one-way path that involves crawling on your hands and knees and squeezing through rocks and can be found by walking the loop, while the Bear Cave is at the top of the gorge. While all four of us climbed and squeezed up through the Bear Den, I left my husband and sons to venture through the Wolf’s den. 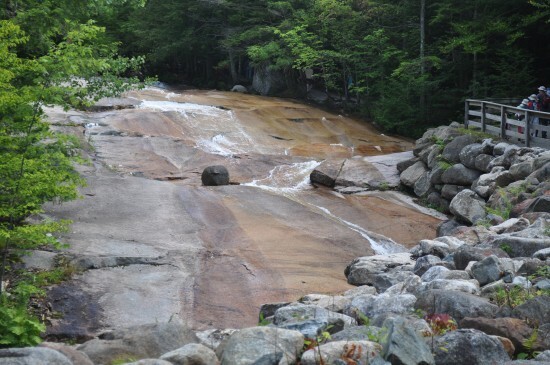 Whether your spending the weekend in the White Mountains, or just taking a one day trip to the area, a visit to the Flume Gorge is a must. When is the Flume Gorge Open? The Flume Gorge opened for the season the beginning of May, and will remain open mid to late October. Operating hours are 9:00 am to 5:00 pm daily. *Dates and times are weather permitting. Learn more about the Flume Gorge, and how it was formed. NH is great for hiking and that spot looks cool! Are there any swimming holes over there? What an amazing place to visit. The place looks beautiful. what troopers the boys were. What a great place to visit. I like the natural rock formations and think that it would be great to explore and see this natural place! It sure is gorgeous! I love the beauty of the outdoors, It is so pretty and calming. Great place to explore.